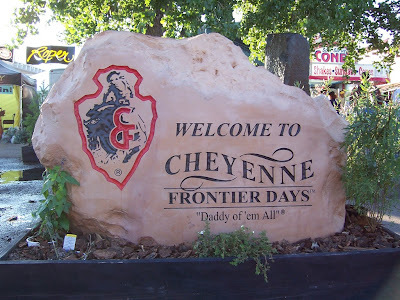 Vixen's Daily Reads: Cheyenne Frontier Days....YEEHAW! Fun times! We were there with the kids around 15 years ago. Have a great time with the fam. Now I'm guessing this isn't the same Cheyenne as the one 40 minutes from us, which does a similar thing!? Sarah: Nope, this is Cheyenne, Wyoming. Not sure who was first, though. 118th anniversary of the rodeo and over $1 million in prize money. ESPN was there, too.